We offer massage therapy at Bastron Chiropractic to compliment your chiropractic care. Massage therapy is the medical art of using various massage strokes on different parts of the human body to condition it and enhance its healing ability – massage therapy is one of the oldest healing arts. Massage therapy is often used for specific reasons, such as relief from pain, stress reduction, or enhancement of athletic performance. It has also proven beneficial for many chronic conditions, including low back pain, arthritis, bursitis, fatigue, high blood pressure, diabetes, immunity suppression, and more. But whether there’s a specific goal or not, massage therapy tends to increase the general health and well-being of the recipient. The services of a massage professional may be covered by health insurance when prescribed by a chiropractor or osteopath. Massage services are often covered when provided as part of a prescribed treatment by a physician or registered physical therapist. We accept most health insurance plans. Please contact our Federal Way chiropractic office and we’ll be happy to assist you with any questions or concerns you may have. 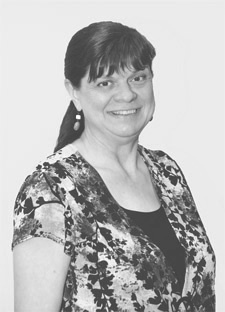 Debra Willems was a licensed nurse in Montana for ten years before deciding to become a massage therapist. She graduated from Renton Technical College in 1997 with a massage degree and is not only licensed in Washington State, but is nationally certified. In addition to Swedish Massage, her training has encompassed Trigger Point, Deep Tissue (medical massage), Lymphatic Drainage, Pre and Post Natal, Deep Relaxation, Geriatric Massage, Manual Ligament Therapy, Hot Stone Massage, body wraps, and energy work. Her goal with all her clients is to provide exceptional therapy in conjunction with other health care modalities such as Chiropractic to relieve pain, promote healing, and restore overall balance. She’s a provider for most health insurance plans as well as the Department of Labor and Industries. Call us today to schedule a massage therapy appointment at our Federal Way chiropractic office. If you’re unable to make your appointment, please provide a minimum 24 hours cancellation notice. Appointments canceled with less than 24 hours notice are charged a $30 cancellation fee.